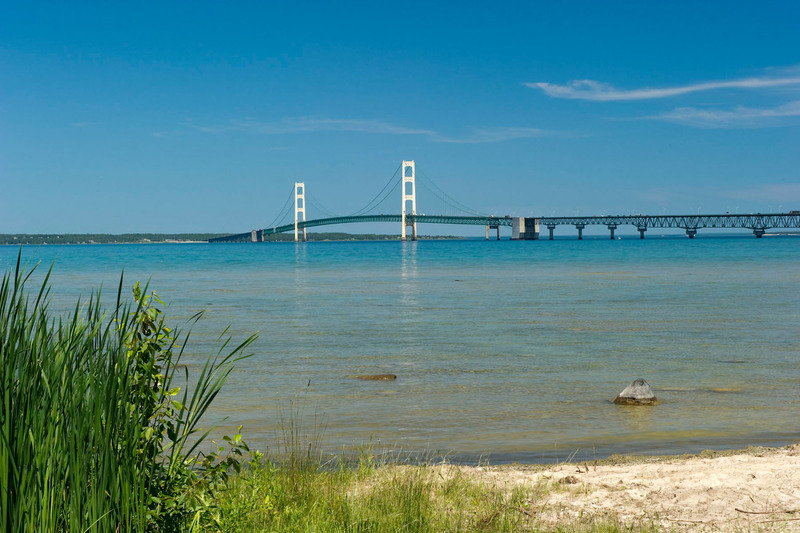 Welcome to the Mackinac Bridge Website! 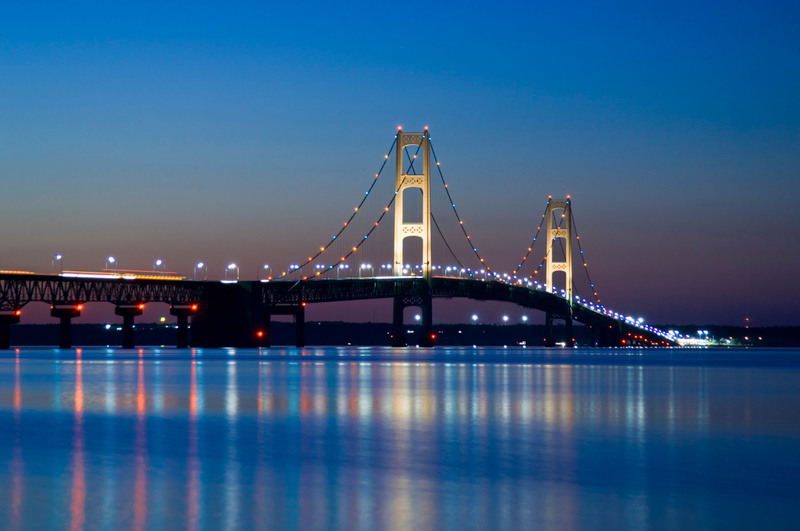 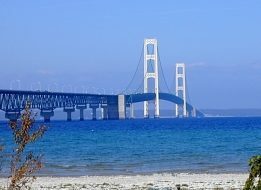 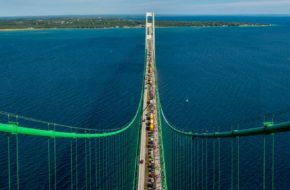 Mission Statement: The Mackinac Bridge Authority is committed to preserve and maintain the State of Michigan’s single largest asset and one of the world’s leading suspension bridges to provide safe, pleasurable and expedient passage over the Straits of Mackinac for economic benefit and improved quality of life. 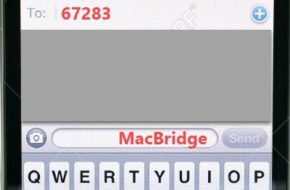 To be notified of closures, sign up for text message notification by texting MacBridge to 67283. 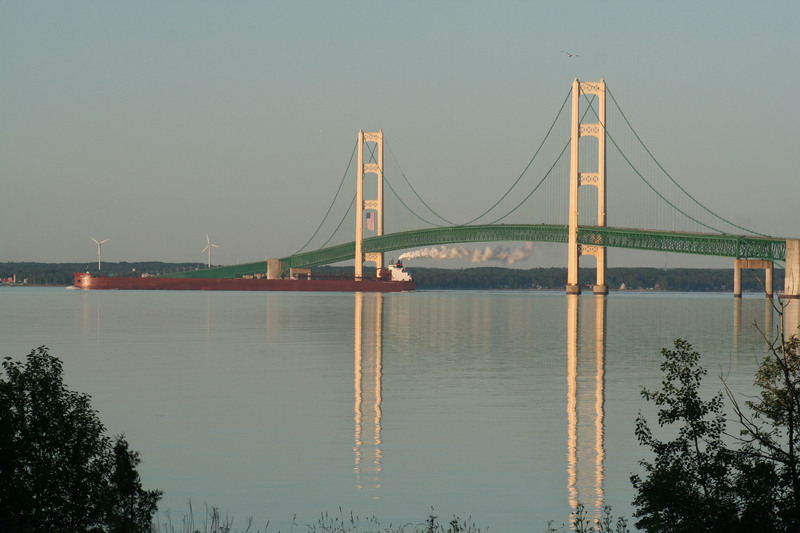 Do you have an existing account and want online access? 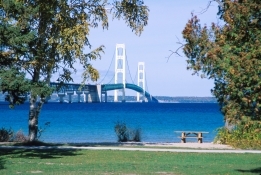 Email DorenbeckerC@Michigan.gov to find out how.